Patsy Jo Mills obituary. Carnes Funeral Home. Patsy Jo Mills was born July 16, 1935 in Granger, Texas to Arch Teer and Minnie Teer. Patsy passed away on Wednesday December 28, 2016 at the age of 81 in La Marque, Texas. Pat is preceded in death by parents; brothers, Leonard, Chester, Les, and Lindsey Shirley, and Arch Teer Jr; sisters, Anita Shirley, Vera Watts, Marie Sikes, Archie Tipton, Belle Willingham, Neil Jenkins; step-daughter, Rebecca Ernsberger, and late husband, Joseph L. Mills. Survivors include son and wife, Rick and Diane Mills; step-children, Bobby Mills and Margie Morgan; sister, Vivian Varner of Pennsylvania; grandchildren, Joseph W, Mills and wife Sherrie, James R. Mills Jr. and wife Melissa, Cassandra K. Mills-Galbreath and Fiancée Chris Folmer; step-grandchildren, Jessica and Matthew Lawson, and numerous great- grandchildren, nieces and nephews. Pat was born in Granger, Texas and raised in Temple, Texas. 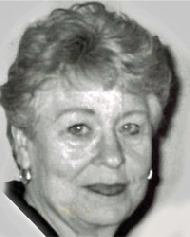 She moved to the Texas City area in early 1955. She and Joe married in November of 1957 and were married close to thirty-four years. During their time, together mom worked for several dentists as well as Texas State Optical. In 1970 mom, dad and I relocated to our ranch in Alvin, Texas where she was instrumental in helping dad and I run the day to day operations of our ranch and helped in training horses for show. Mom also opened and operated a catering business bridal and flower shop in the Alvin area. Mom enjoyed cooking, painting, and her quilt works were a work of art. Mom was very proud of her grandchildren and their children when they were born. Mom was always there for all her kids, grandkids and great-grand kids. A Celebration of Life Visitation will be held at Carnes Funeral Home-Texas City, 3100 Gulf Freeway, Texas City, Texas on Saturday, January 7th, 2017 from 11:00 am to 1:00 pm.